Hockey team Canadiens has invited all fans to participate in the first esports NHL 19 tournament hosted by the organized and supported by Bell, PlayStation, and Montreal Esports. The event is the organization’s first steady foray into competitive video gaming. 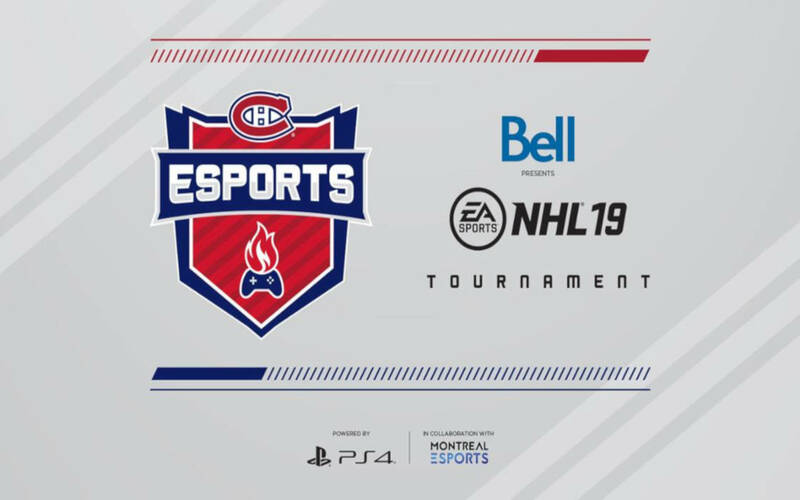 In an exciting display of esports prowess, Canadiens fans will get a chance to compete at an NHL 19 tournament hosted by the team themselves along with Bell, PlayStation, and Montreal Esports. The gig is taking place on February 23 at 1909 Taverne Modern in Bell Center. The event will see over 30 participants take a shot at the prize pool worth the respectable $10,000, apart from Canadiens tickets, fan memorabilia, and more. To guarantee fans that not a single moment will be lost to those not attending, Canadiens have appointed Montreal Esports to be in charge of the tournament coverage and live stream via Twitch. Canadiens and Bell host a first esports tournament for the hockey team. Caption: Canadiens. As to those attending live, spectators will be able to watch the games as they unfold live on the 1909 Taverne Moderne’s big on-site screen. There will be commentators, and guests will have many opportunities to join in on the extra activities, including the Montreal Esports Academy, Montreal Comiccon, get to experience various PlayStation 4 titles at the demo station or simply hang as whole families in the designated area. Those looking to register and be part of this Canadiens event can do so by February 17, 2019. If you are looking to attend, all you need to do is show up at the venue at 11:30 AM on February 23. The entrance is free of charge. The team will continue publishing all esports-related information on the NHL’s official page. This tournament will be a first esports initiative for Canadiens. So far, most mainstream sports have been somewhat reluctant to adopting esports as a viable option for their brands. The NHL and NFL esports efforts have gone mostly unnoticed, although organizations are not ruling out the possibility to expand. NBA 2K has offered some of the most interesting solutions, adding the NBA 2K League and scaling its operations globally with a recently-announced qualifier for Hong Kong. Meanwhile, EA Games have been building a solid competitive community around another flagship title, FIFA 19 and the previous iterations of the franchise.